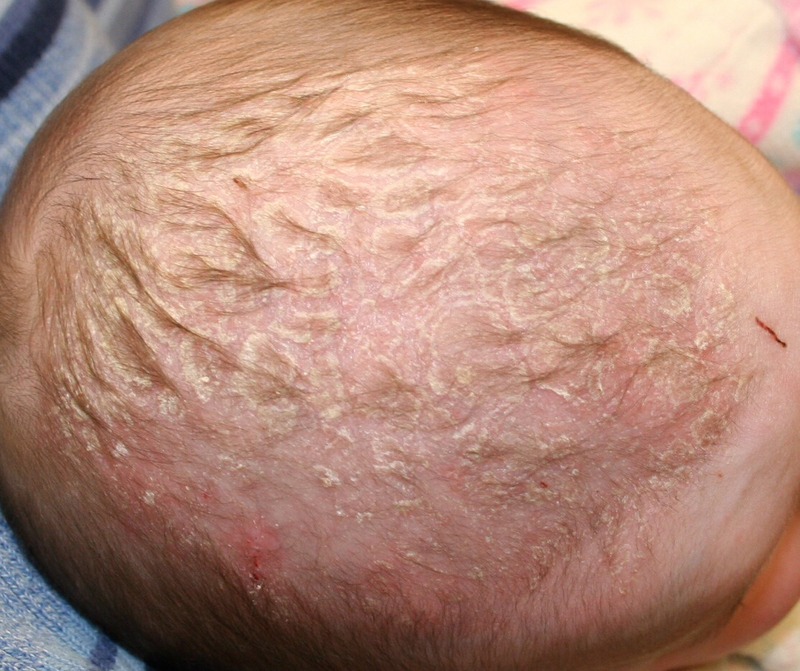 Need To Get Rid Of Infant Cradle Cap? Put a liberal amount of baby oil directly into infant's hair. Let it sit for 2 minutes and gently brush threw hair. Wash hair with baby shampoo and viola! Clear scalp!